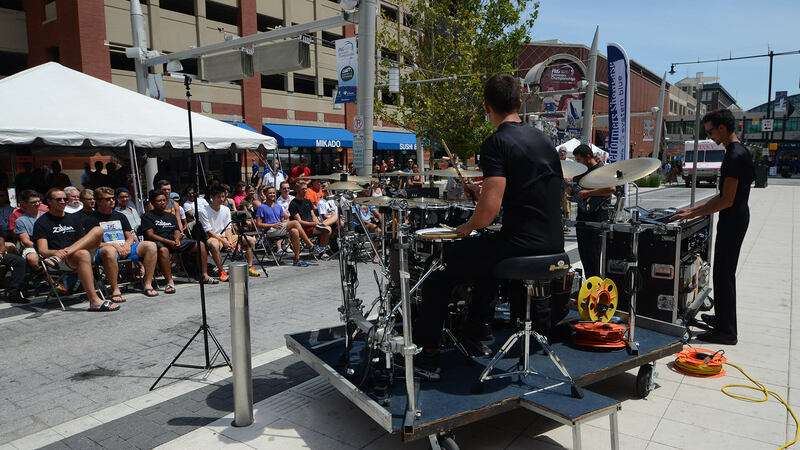 The DCI Performers Showcase presented by System Blue will return to downtown Indianapolis on Wednesday, August 10, with individuals and ensembles displaying their talent to family, friends and the drum corps community. The annual World Championships Week competition will occur outdoors on Georgia Street and inside the Indianapolis Artsgarden from 10 a.m. to 4 p.m. The event is free, open to the public and is predicted to be bigger than ever before. The 2015 showcase entertained crowds with performances from more than 500 members from World and Open Class corps. Opportunities are endless as the event offers corps members the chance to show off their talents within categories, such as woodwind and vocal, that are not found in a typical drum corps performance. Mavroudis said her favorite part of the event is seeing the originality from the participants. Registration: Online registration for corps members is open until August 1. • For instruments or ensembles currently not covered under the DCI Performers Showcase rules. A complete schedule of performances will be published on DCI.org just prior to the event.